The kids and I are gearing up for a trip to a theme park this week. Not Disney this time, sadly. Instead, we’re heading down to Universal Orlando. 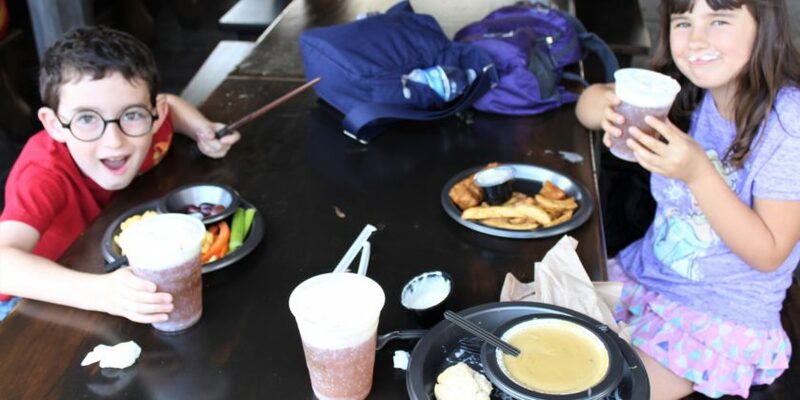 Now, I am very much looking forward to eating at the Three Broomsticks and having myself a cold Butterbeer. (I wonder if they still have the seasonal hot version even though it’s going to be 80° out.) I expect to pay a pretty penny for these indulgences, but I can rest assured that not all of our food will cost an arm and a leg. 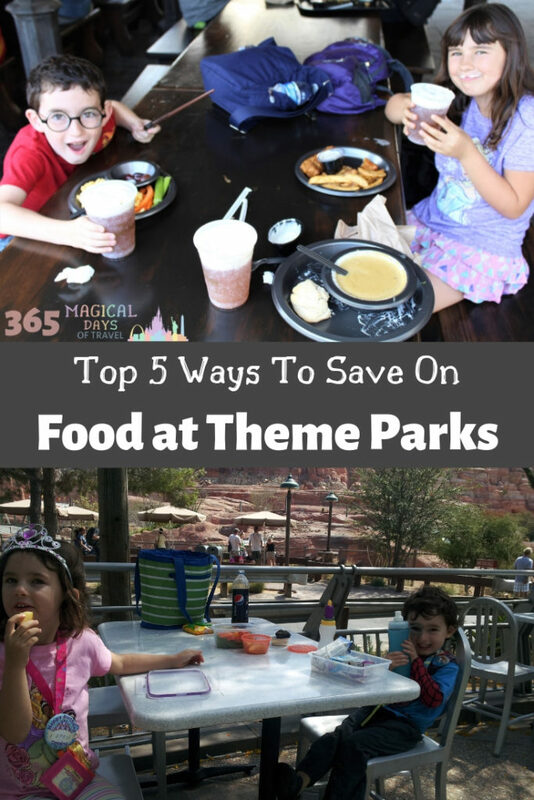 Here are some of my best ways to save on food at theme parks or when traveling in general. Theme parks are notorious for oversized portions. Just ask my daughter. She always wants a turkey leg at Disneyland, but then realizes that she’s not going to be able to eat even a small portion of it. If I weren’t a vegetarian, and her brother wasn’t a picky eater, that might work, but she’s stuck as the only one who wants such a monstrosity. 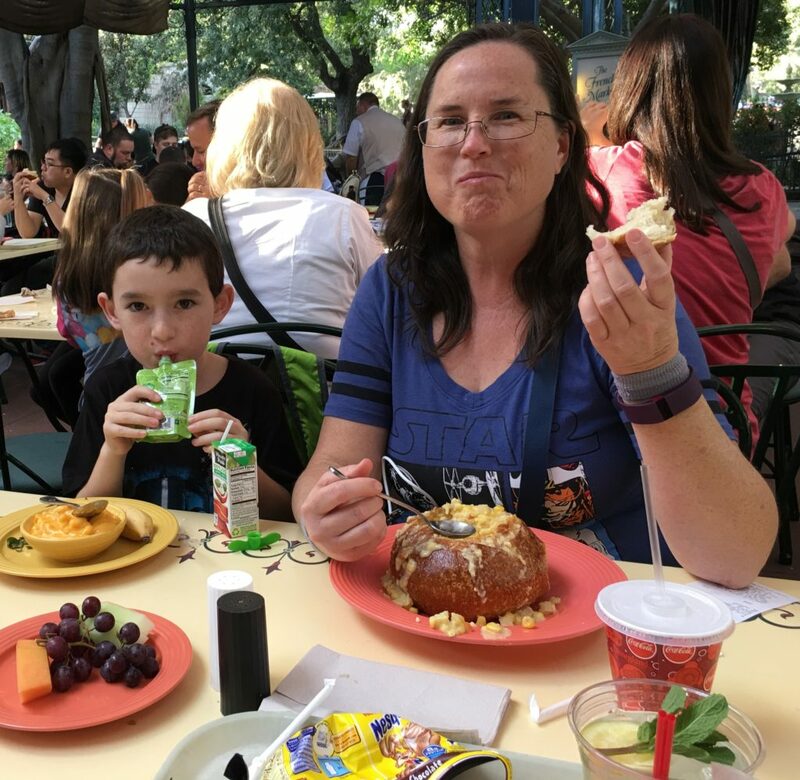 Although I’ve never been there for a meal other than the character breakfast, I hear tell that the Plaza Inn has a shareable chicken dinner, and the aforementioned Three Broomsticks has a family meal on the menu that is designed for sharing. Otherwise, a good rule of thumb is to order one less meal than you have family members. Unfortunately in our family, sharing doesn’t work since we all have such different diets. However, we will request a box to go and finish a large meal later at the hotel room or the next day. Some, but not all parks, will allow you to bring in your own food, so be sure to check ahead. 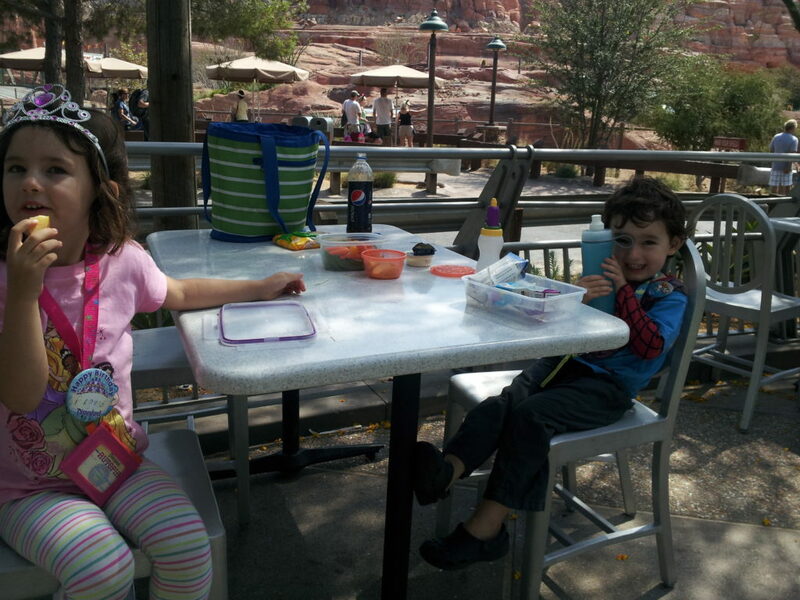 At Disney, I always have the kids pack water and snacks in their backpacks to munch on between meals. This eliminates the “hangries” and saves our snack budget from blowing up. I used to pack a meal in, but as soon as the kids gave up the stroller, I found it too irksome to carry a full lunch around in my backpack all day, and I’m too cheap to spring for a large locker. 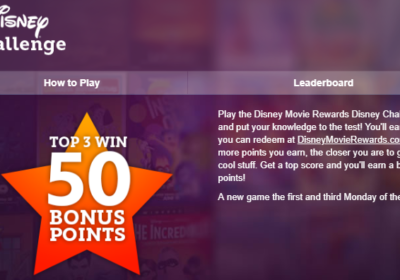 Whether you book a hotel that offers free breakfast or you eat your own food in your room, this is an essential strategy for theme park visits. 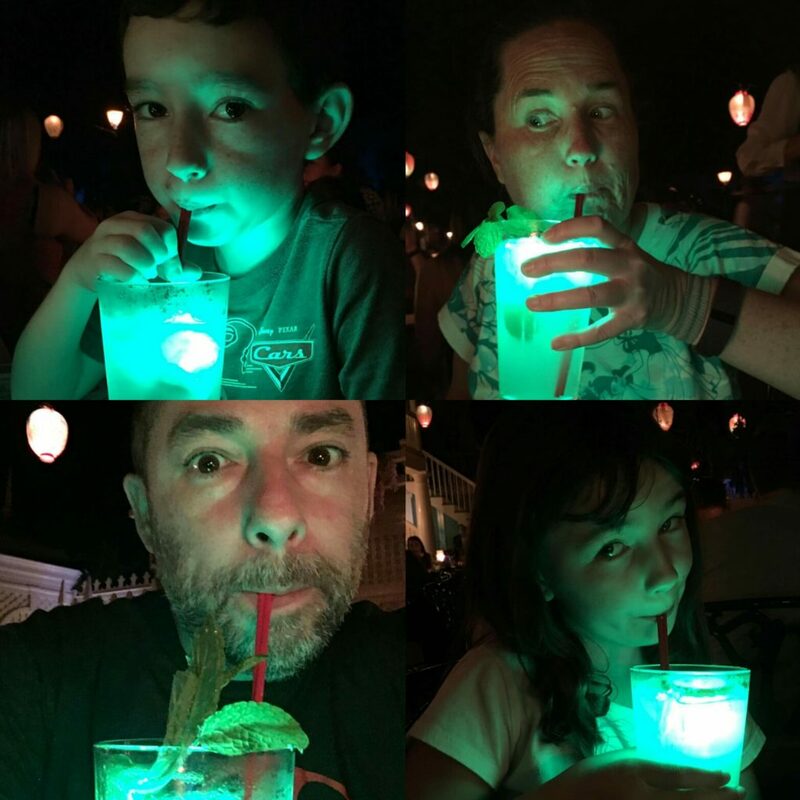 Not only will you save money this way, you’ll want those early morning hours for park touring, not eating. Hotel room breakfasts can be very simple, from mini-bagels and cream cheese to cereal and milk. Add in a juice pouch and some fruit, and you have a well-balanced breakfast. 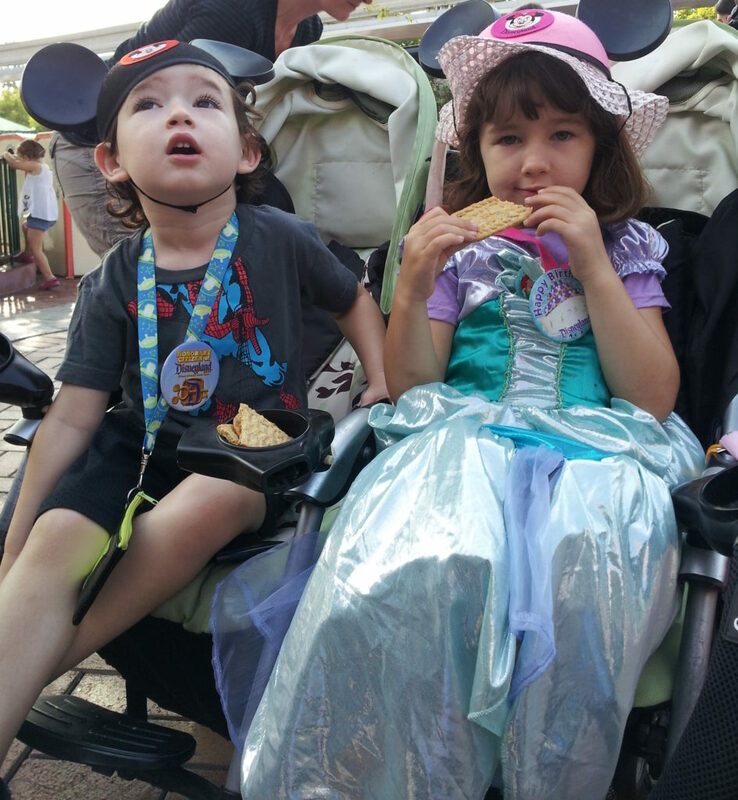 If my kids still ate them, we would be having breakfast bars on our way to the parks each morning! So simple! 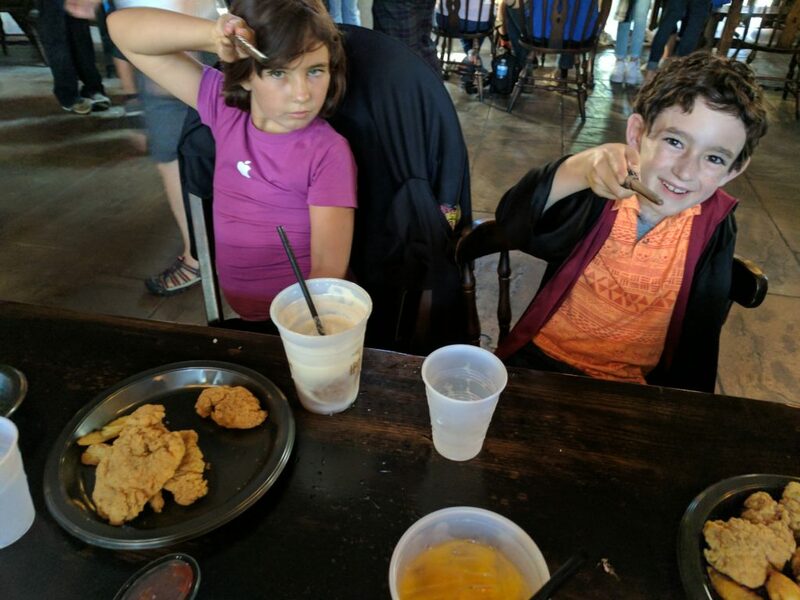 Our operating system for meals at theme parks, and even other travel, is to 1. eat breakfast at our hotel; 2. have no more than lunch, one snack, and one sweet treat out; and then 3. eat dinner or healthy snacks back at the room. This eliminates two meals out per day right off the bat, but is open enough to enjoy the fun of treating ourselves to delictible snacks, tasty meals, and decadent desserts in the park or nearby. This is my number one way to save on food while traveling. If we have the means, like a rental car and time, I’ll plan to stop at a grocery store for some staples. If not, then I just pack the groceries in our checked suitcases. I don’t mean only non perishables. I mean everything! I pack things like chips, crackers, cereal, and other dry goods in a separate box so they don’t get crushed. Then I pack refrigerated food in a cooler with ice and/or frozen water bottles. I have a hard-sided cooler for crushable food like whole fruit and bread, and then soft-sided coolers for everything else. 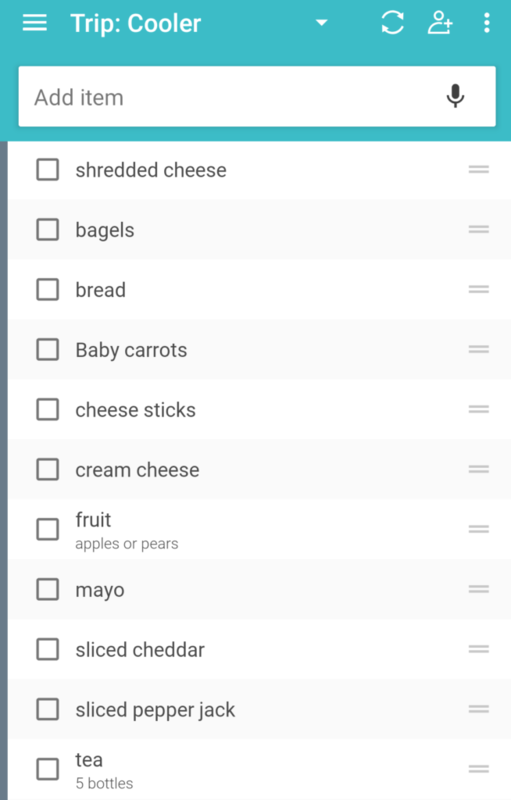 We generally bring things like cut veggies with ranch or hummus, milk, orange juice, sandwich or wrap fixings, cheese sticks, and shredded cheese for quesadillas. I even wrap bottles of water, soda, and juice pouches in plastic bags. For some reason, those bags always get opened by the TSA! So there you have it! My top 5 ways to save on food while traveling. We can still buy some of our food out, but we don’t have to buy all of it. That balance is the key! Which of these are new ideas to you? How do you save on food when traveling?